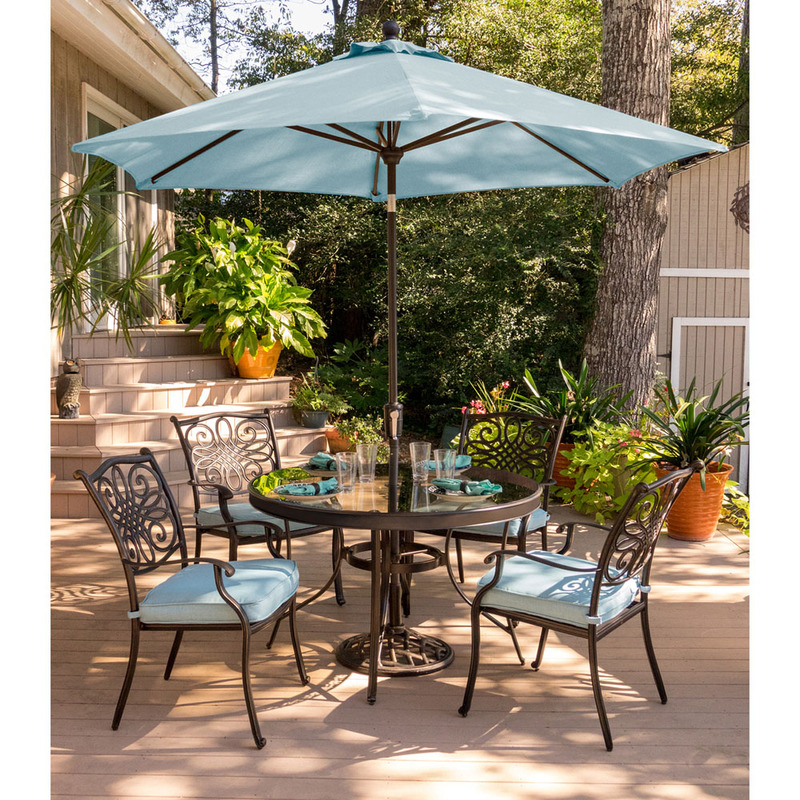 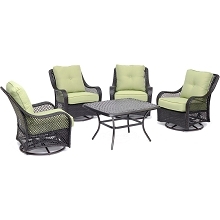 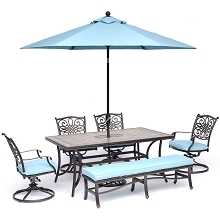 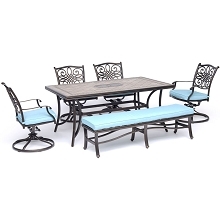 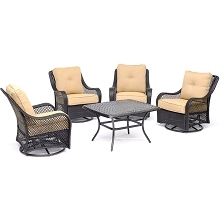 The Traditions 5-piece dining set immediately transforms any backyard into an elegant outdoor dining area with its four cushioned dining chairs, a 48 in. 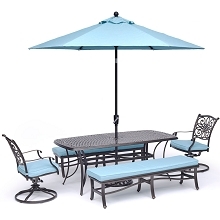 glass-top dining table, a 9 ft. table umbrella, and umbrella stand. 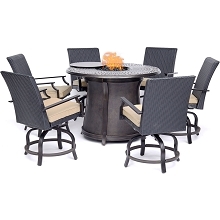 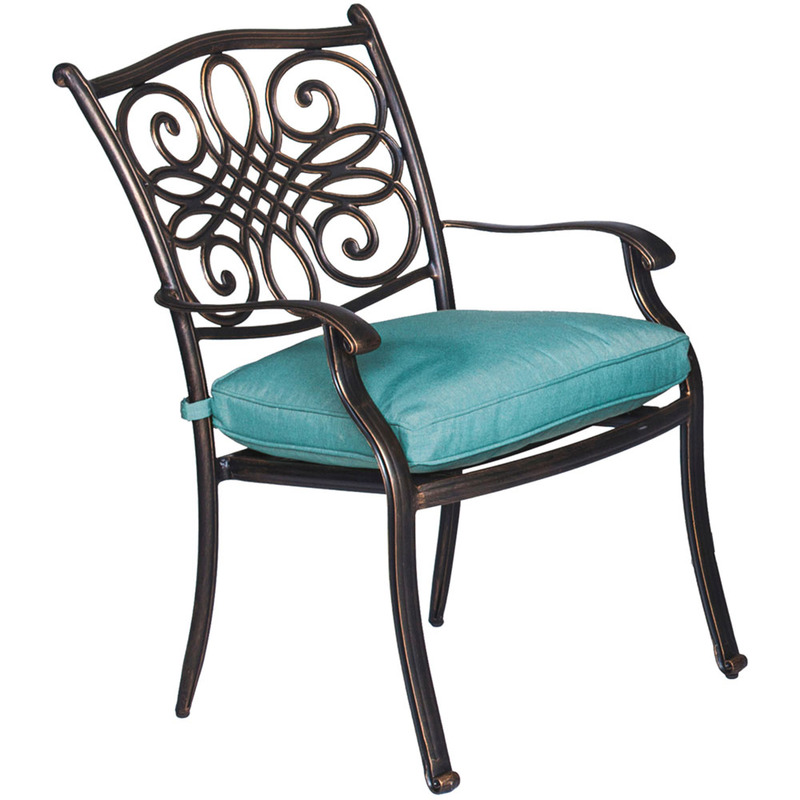 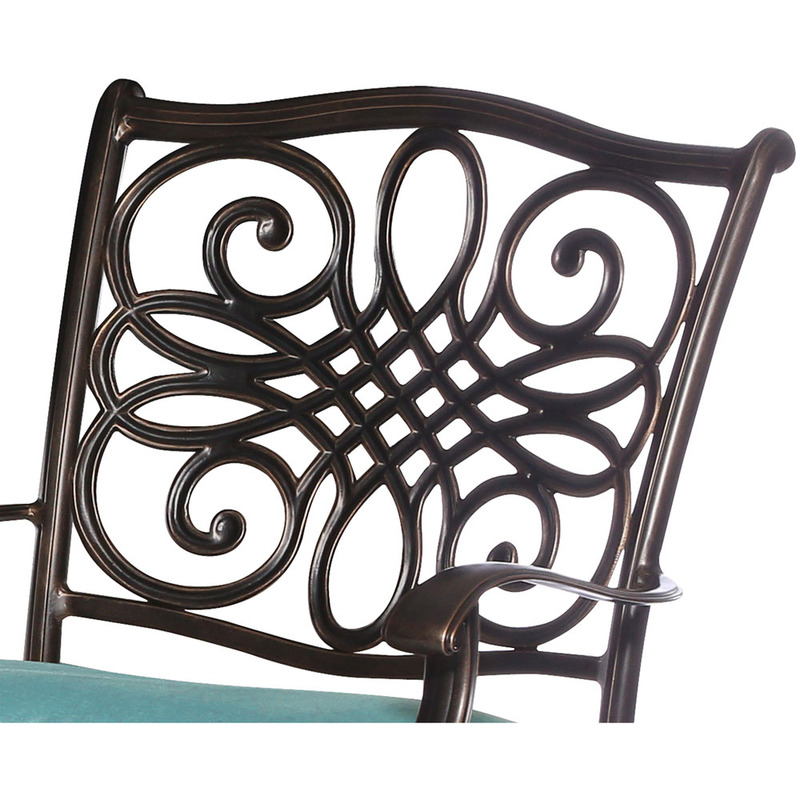 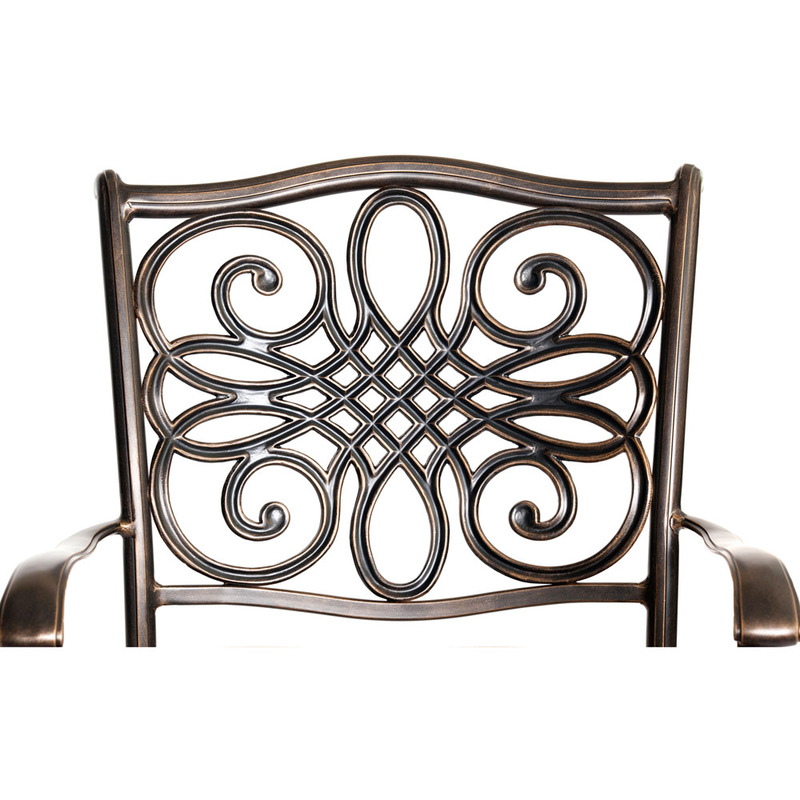 The chairs and table feature rust resistant aluminum frames that are built to last season after season. 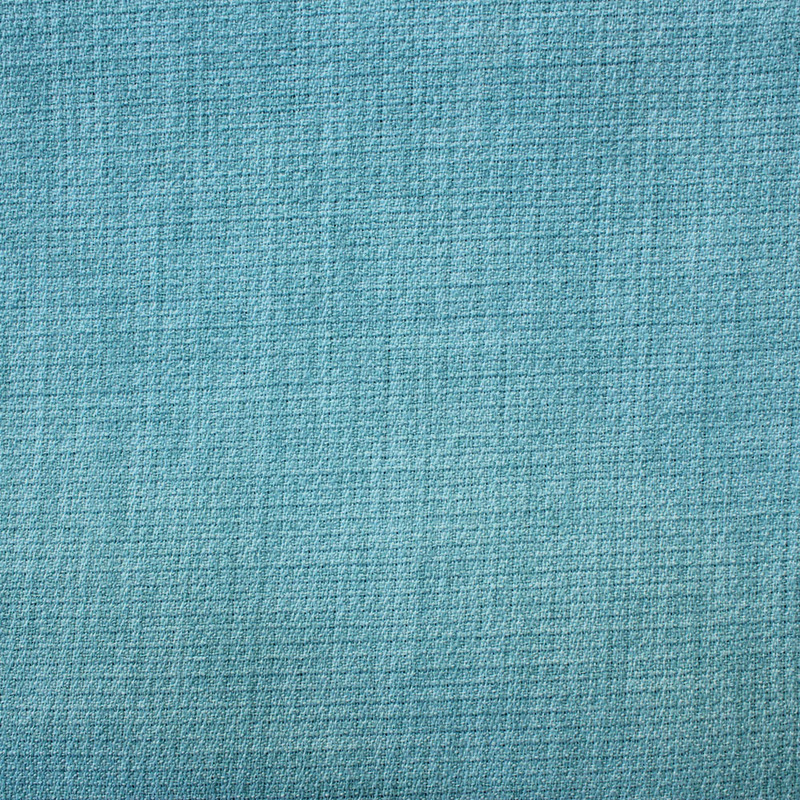 The 48 in. 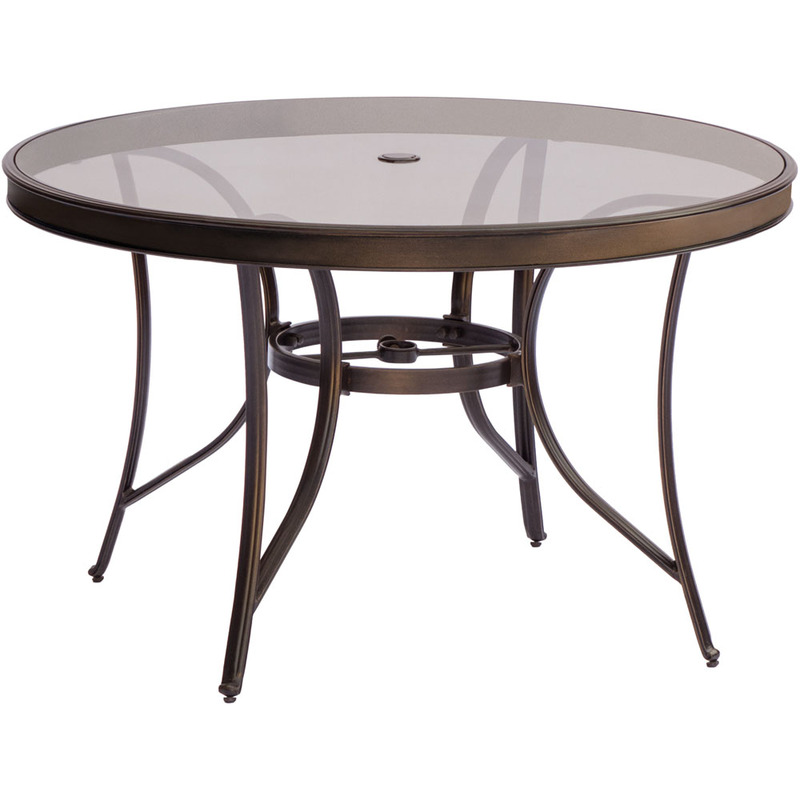 round dining table holds a durable tempered glass top that is tough enough to withstand nature's elements. 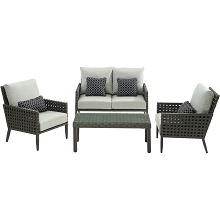 Each chair includes a plush seat cushion with premium outdoor fabric wrapped around thick layers of foam, ensuring deep comfort while maintaining its original full shape. 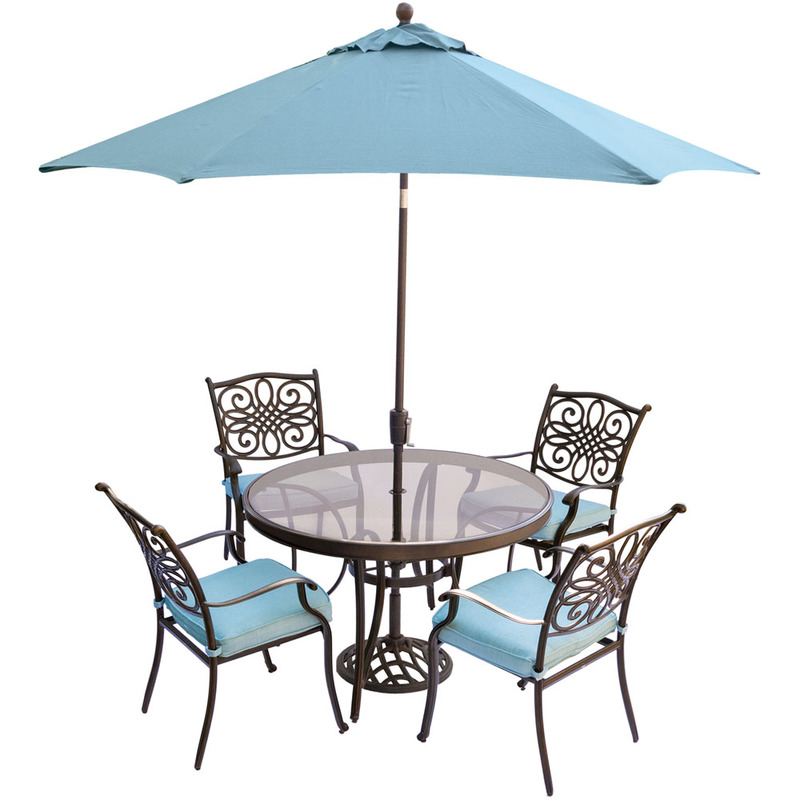 A coordinating table umbrella and stand are included for additional comfort on demand. 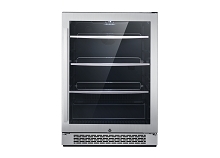 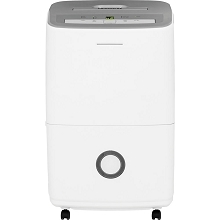 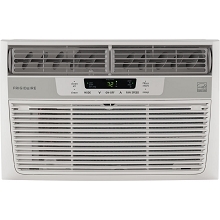 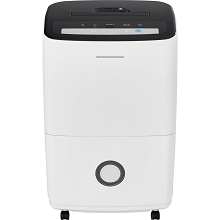 The convenient crank lever provides swift operation when you want to open or close the canopy. 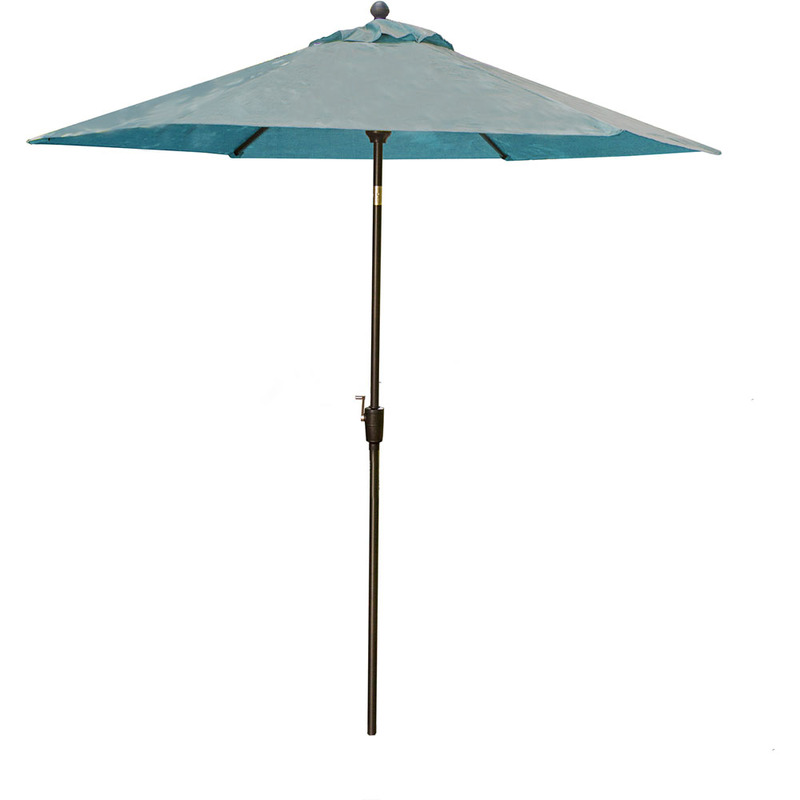 A pivot under the ribs allows you to adjust the angle of shade to your preference, making it an ideal accessory to have - rain or shine.